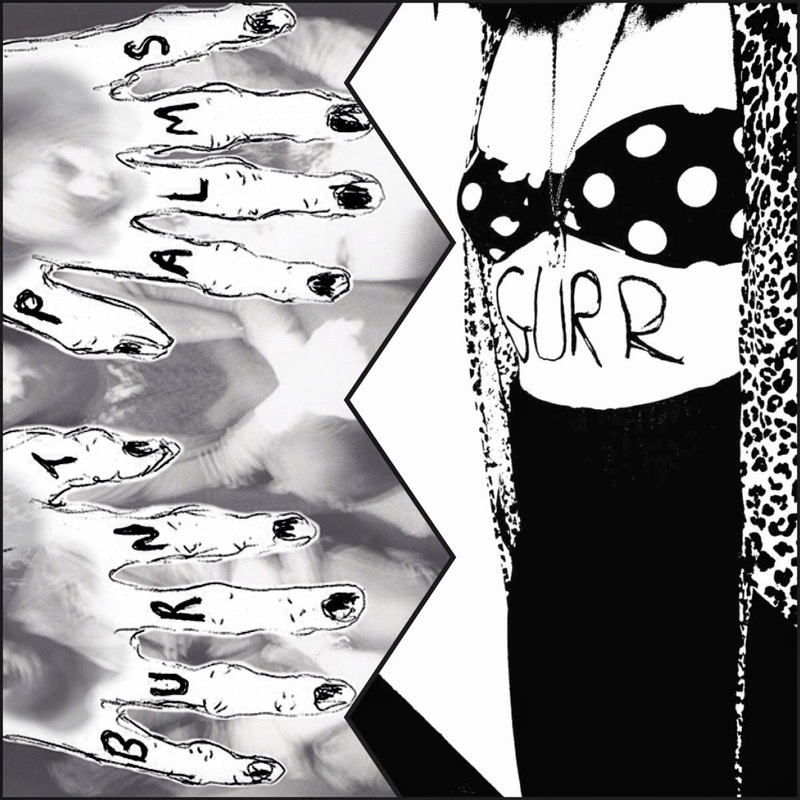 Burnt Palms and Gurr collaborate across continents for the spunkiest split. "I have been waiting for this forever" is a thing we often say to our friends about movies and music. When we watch a film trailer or hear an album's single, we get a sneak peak that keeps us hooked until the final cut is ready for our eyes and ears. I can honestly say that I have been waiting for what feels like forever for Burnt Palms and Gurr's split tape to come out. 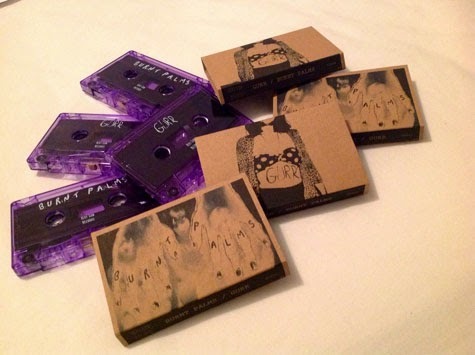 Released last month by our friends over at Very Gun Records, the purple tape is an international effort comprised of six tracks that compliment each other in a way that you'd expect they were recorded in the same basement. No, it's actually quite the opposite – Burnt Palms hails from sunny California and Gurr resides all the way in Germany. These two bands won't be playing a show together anytime soon, but in the meantime this split gives us a fun glimpse of what it might be like if the ever did. We're no strangers to Burnt Palms, the band is featured on the rough side of our THE LE SIGH Vol. 1 cassette. As we expected, their contributions to this split supply a healthy dose of angst. Whether it be a spooky love affair on "Zombie Haze" or an ooey-gooey surf romance on "Don't Go," this grunge trio tackles sentimental feelings by way of moody guitars and slushy vocals. On the contrary, Gurr's side of the tape is pure punk electricity. I was sold from the minute they start singing about 50/50: "Joseph Gordon-Levitt don't you worry you don't have cancer / Joseph Gordon-Levitt don't you worry it's just the make-up." Beneath howls and quick-paced vocals, these rockers sneak amusing (and sometimes strange lyrics) onto all of their tracks. STREAM IT: Order the split tape from Very Gun Records.